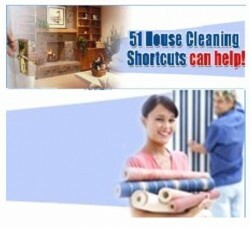 51 House Cleaning Shortcuts can help! It’s time to clean your house—again. Housecleaning can be very overwhelming. Don’t know where to begin? Find all these tips and more! Start cleaning easier today!